The purpose of the Organization for Computational Neurosciences is to create a scientific and educational forum for students, scientists, other professionals and the general public to learn about, to share, to contribute to, and to advance the state of knowledge in computational neuroscience. Computational neuroscience combines mathematical analyses and computer simulations with experimental neuroscience, to develop a principled understanding of the workings of nervous systems and apply it in a wide range of technologies. 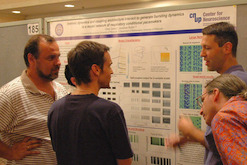 The Organization for Computational Neurosciences promotes meetings and courses in computational neuroscience and organizes the Annual CNS Meeting which serves as a forum for young scientists to present their work and to interact with senior leaders in the field. The Organization for Computational Neurosciences is incorporated in the State of California as a 501(c)(3) Nonprofit Corporation. The Organization for Computational Neurosciences (OCNS) was created in 2003 by Christiane Linster, Erik De Schutter, Linda Larson-Prior, Phil Ulinski and Todd Troyer to run the annual CNS Meeting. OCNS was formally incorporated in the State of California on February 11, 2004. The CNS Meetings were started by Jim Bower and John Miller in San Francisco in 1992. 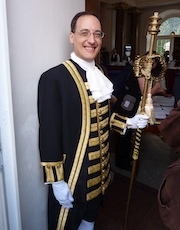 Jim Bower organized annual CNS Meetings till 2001, after which a group of volunteers continued the tradition and formed OCNS. In 2011 OCNS was changed into a member-based organization with a mission to represent and serve the field of computational neuroscience. More information on the history of the CNS Meetings can be found on the Meetings pages. The annual Computational Neuroscience Meeting (CNS) began in 1990 as a small workshop at the Clark Kerr Campus in Berkeley, California. The workshop was called Analysis and Modeling of Neural Systems, and was a small, local event that included 21 invited talks and 36 posters. The goal of the workshop was to explore the boundary between neuroscience and computation, which by the late 1980s was just starting to become an identifiable field in its own right. Riding on the success of the seminal papers by Hopfield (1982) and Hopfield and Tank (1986), physicists had made "Neural Networks" fashionable, and soon the quantitative methods used in these abstract model networks started permeating the methods and ideas of experimental neuroscientists. As biologists and computational scientists started talking to each other and collaborating, new generations of students became fluent in both experimental and quantitative techniques. 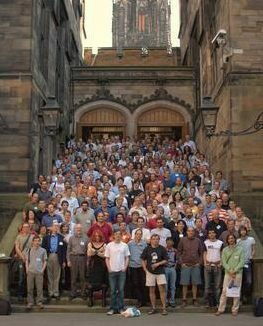 The CNS meeting lives at this interface, where experimental neuroscience meets theoretical, statistical and computer-simulation analyses, with the hope of turning large collections of experimental results into a principled understanding of nervous systems. 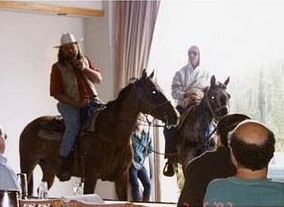 The first "CNS Meeting" was organized by Jim Bower and John Miller in San Francisco in 1992. In the early 1990s, the CNS meeting received about 100 submissions per year. 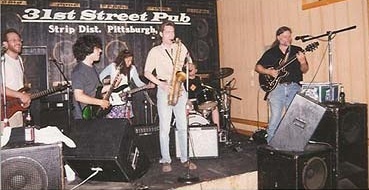 By 1997 the number was over 200, and in 2009 it included more than 650 submissions. Still, the aim is to maintain the collegial spirit of the early meetings, which revolves around lively discussions after the talks, during late-night poster presentations, while enjoying the traditional banquet, or even during excursions to local touristic sites (yes, even then). In addition to this fun and casual environment, CNS has two prominent features. First, since its early editions, CNS has been a forum for young scientists -- graduate students, postdocs and junior faculty -- who present their work and have the opportunity to talk with more senior leaders in the field. In fact, the proportion of faculty, postdoc and student attendees has remained quite steady over the years, at about one third each. Second, it has become a truly international meeting. Reflecting this, in the year 2000 CNS was held in Europe for the first time (in Brugge, Belgium), and since then European sites were chosen in 2003 (Alicante, Spain), 2006 (Edinburgh, Scotland), 2009 (Berlin, Germany) and 2011 (Stockholm, Sweden). Those of us involved in the OCNS, board members, local organizers, members of the program committee, and many of our sponsors, have been to many CNS meetings throughout the years and want to keep the tradition going -- not for tradition's sake but because we have all been energized, challenged and motivated by these meetings, and believe that new generations will similarly benefit, as both experimental and computational techniques evolve into more sophisticated and powerful tools. Our goal is to organize a high-quality meeting that is both informative and fun.